Farrah discovered the locking and popping in 1999. It is the start of many years of intense training in France and abroad, particularly among members of different Electric Boogaloos but also Original Lockers (founders of popping and locking American groups). 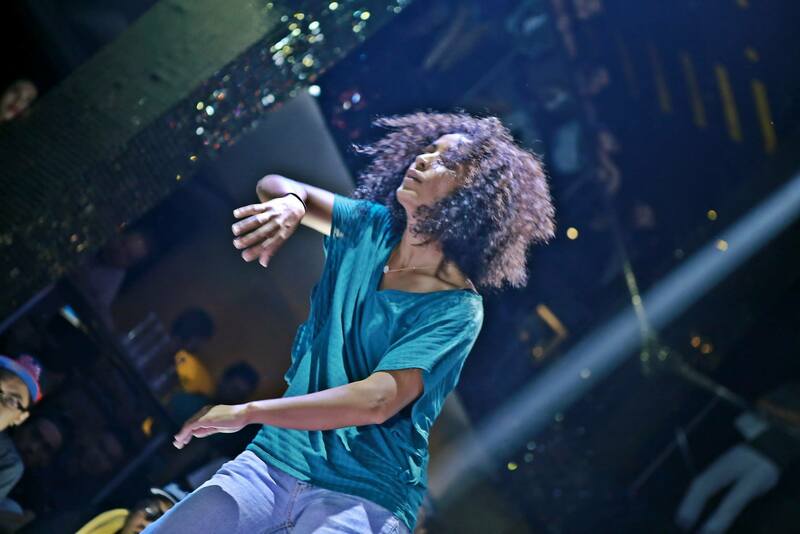 She turned to the “battles ” (urban dance competitions) and thus won multiple titles (winner of the “Battle of 20 years of Suresnes Cities Dance” (2012), semi-finalist in “How thawest was won” (2008) Los Angeles / USA , semi-finalists in the “Eurobattle” (2009), Porto / Portugal , semi-finalists in the “Juste Debout 2011” / Paris -Bercy…). Since 2010, she is regularly invited to judge international battles (in France, Vietnam, Germany, Belgium…). Between 2007 and 2012, she taught those dances in trainings and regular courses in France and abroad (Paris, French Guiana, Ho Chi Minh City / Vietnam in 2010, Freiburg / Germany in 2013 …). Meanwhile, she is also involved in various art projects; she reflects her passion in the documentary “City Dance” (2012) and in the short program “My career win” (2013). She is involved in video clips, as a performer, for various artists (Kill Beatz , Martin Solveig , Gaetan Roussel, Zebda…). It is from 2009 that Farrah works with various companies as a performer : Cie Point Zero / Delphine Caron (2009) “Air Installation”, Cie Rualité / Bintou Dembele (2011-2014) “ZH” and “LOL”, Evening birthday “Creating the 20 years of the festival Suresnes Cities Dance”(2011-2012) / José Montalvo – Mourad – Kader Attu – Sebastian Lefrancois , Company Par Terre / Anne Nguyen (2014) “Self-sufficient”, Cie 6th Dimension / Séverine Bidaud (2013-2014) “I feel good”, “Satisfied”. In 2013, she created her autobiographical solo “The Rhythm of the other” (creation Suresnes – 2013). Finally, she works with her partners on “Naive Mechanics” (Sonya Bel Hadj Brahim and Pascal Luce) and co -write the play “Et Au Bout Du Conte”.